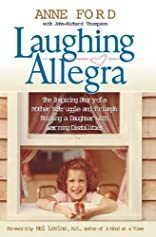 When Anne Ford, great-granddaughter of Henry Ford, learned that her four-year-old daughter Allegra's "differences" were the result of severe learning disabilities, she faced a challenge that neither money nor position could ease. Desperate for answers, Anne sought out doctors, teachers, counselors, and others who could help her build a support network for herself and her daughter, while fighting the many common misconceptions and myths about learning disabilities. Now, in this fiercely honest and compelling memoir, Anne tells her story, writing movingly of her feelings as the mother of a learning disabled child. "I grew to accept that life is filled with uncertainty and that answers to the most simple, yet profound, questions such as `What is wrong with my daughter?' can be elusive. I learned to be self-reliant in ways I never had before. I learned that every spark of optimism and hope was something to be nurtured and treasured because sometimes they were the only comfort available. And I learned that worry had entered my life." In time, Anne Ford saw her daughter grow into a vibrant, loving, and independent adult with a passion for ice skating and a commitment to help other disabled children. Allegra Ford, now 32, lives independently and supported this book's publication so "it could help other kids." Anne's experience led her to become a tireless activist on behalf of children and families faced with LD, including her service as Chairman of the Board of the National Center for Learning Disabilities from 1989 to 2001, and the writing of this book with John-Richard Thompson, an award-winning playwright and novelist. 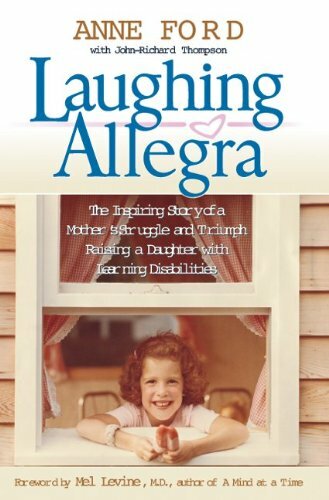 In addition to Anne's personal story, Laughing Allegra includes four invaluable special sections: Answers to the most commonly asked questions about LD A resource guide on where to find help A discussion from a mother's perspective on the challenges of homework, money, relationships, the work- place, and planning as the LD child and parents age A section on "Siblings and Secrets," new in this paperback edition, inspired by Anne's conversations with readers during her hardcover book tour.